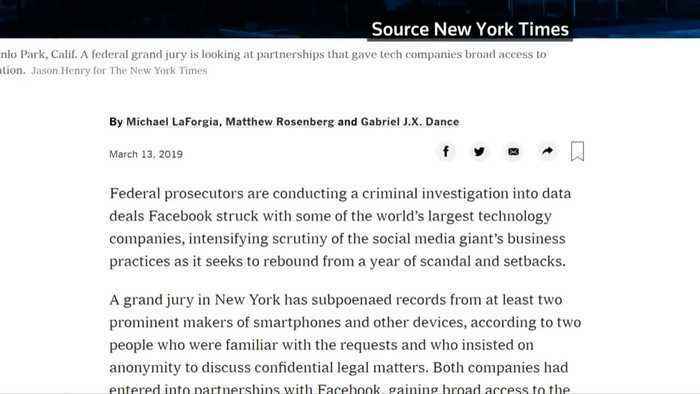 The New York Times reports that federal prosecutors are conducting a criminal investigation into data-sharing agreements with some of the world's top technology companies. 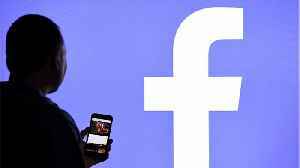 Data deals that Facebook struck with some of the world's top tech companies are under U.S. federal investigation. That's according to a New York Times report Wednesday (March 13). 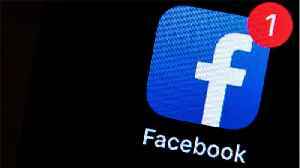 It cites sources who say that a grand jury in New York has subpoenaed records from at least two big makers of smartphones and other devices. 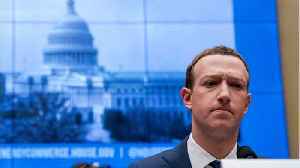 The report also says both companies are on a list of one hundred and fifty firms that entered Facebook partnerships for access to personal data on hundreds of millions of users. Apple and Microsoft are among those on the list. 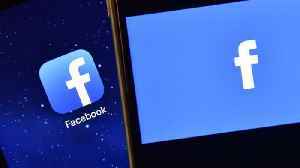 Facebook faces a number of lawsuits and inquires over its privacy practices. The investigations look not only at Facebook's data deals. They also focus on Cambridge Analytica, a British consulting firm that worked with U.S. President Donald Trump's campaign. 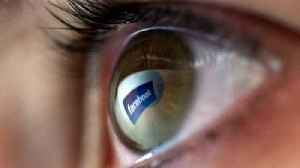 Disclosures emerged that Facebook shared 87 million people's user data with that company. In a statement, Facebook did not mention the grand jury inquiry directly. It did say it was cooperating with investigators in multiple federal probes, that quote, "We've provided public testimony, answered questions, and pledged that we will continue to do so." 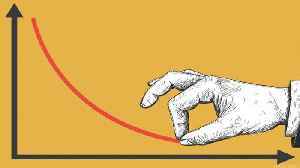 The data-sharing deals first made headlines in December. Facebook has defended them, saying none of those partnerships give companies access without people's permission.